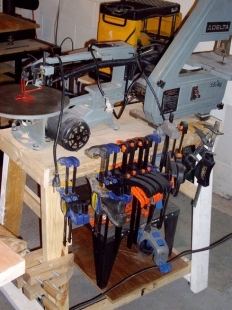 Homemade stand intended to hold both a bandsaw and scroll saw. Essentially a widened sawhorse, it also features built-in casters. One side is utilized for clamp storage.